A couple of beautiful prints – actually book plates – that I acquired this past week lead to today’s focus. 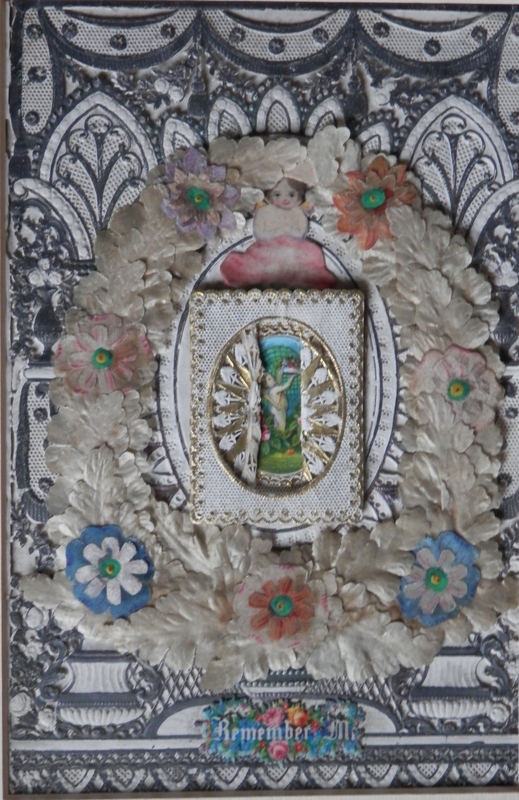 A pair of images removed from a book. A book called ‘The Quiver of Love – A Collection of Valentines Ancient and Modern’ by various authors published in 1876. 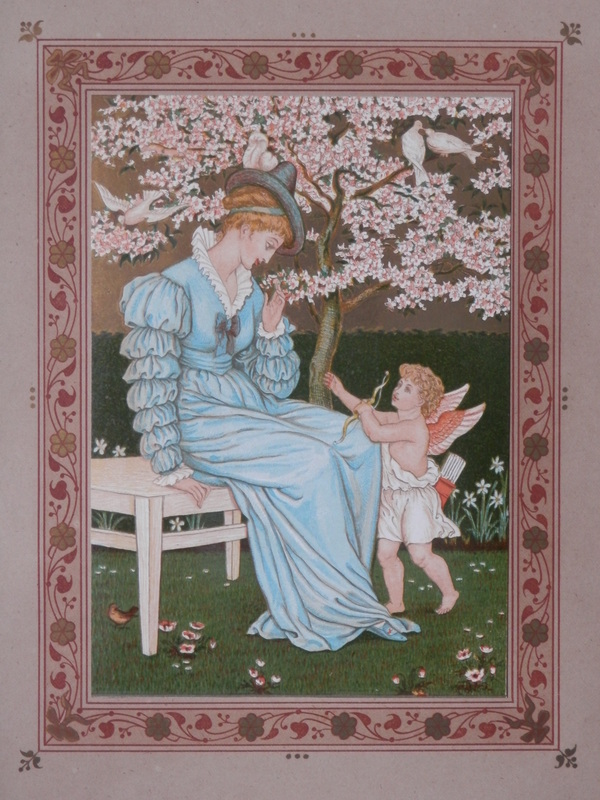 The book contains 8 lithographs 4 each by #WalterCrane (1845-1915) and #KateGreenaway (1846-1901). I hope I have found the correct titles for them. Eight wonderfully coloured lithographs by a couple of the best artists of their time. 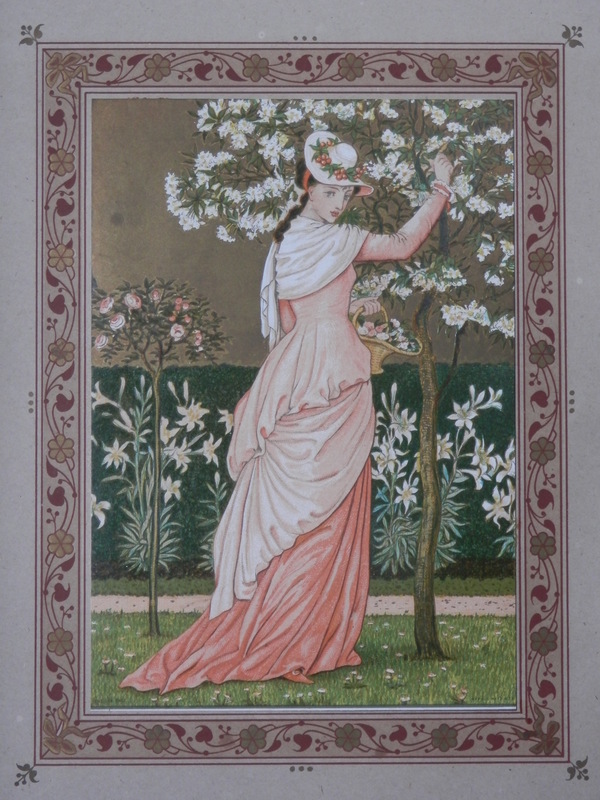 Both of these, I believe, are by Walter Crane. The book was compiled of ‘love lyrics’ all capable of being used as ‘Valentines’ while the book itself was meant to be used as a gift book or as an indication of an even deeper regard. The lyrics or poems spanned time from Shakespeare (ancient) to Coleridge (modern). #TheQuiverofLove a book about love for lovers. 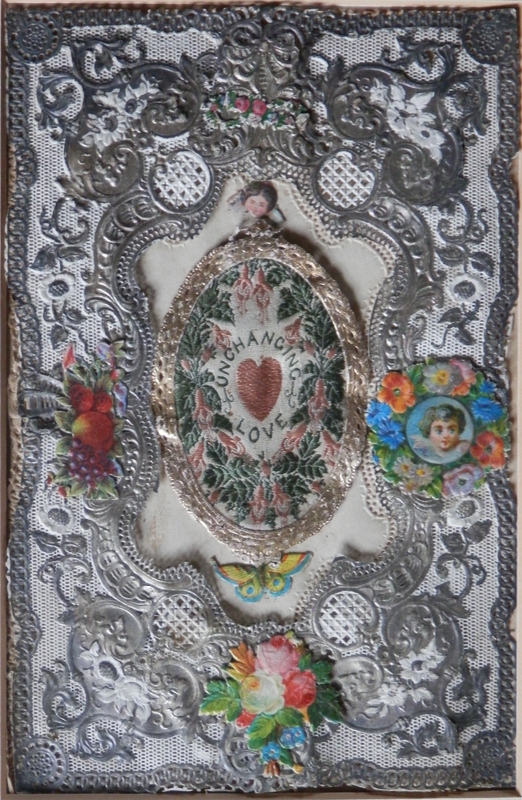 Certainly when it comes to #Valentines, the Victorian era was an high point. It was a very romantic time and the giving of cards exploded greatly when the penny post began. Valentines then like Christmas now was a time when the postal service became over-loaded and every year an appeal went out to post your cards early so they might not get delayed in the vast quantity of cards being sent. I will let four cards in my collection speak for themselves. 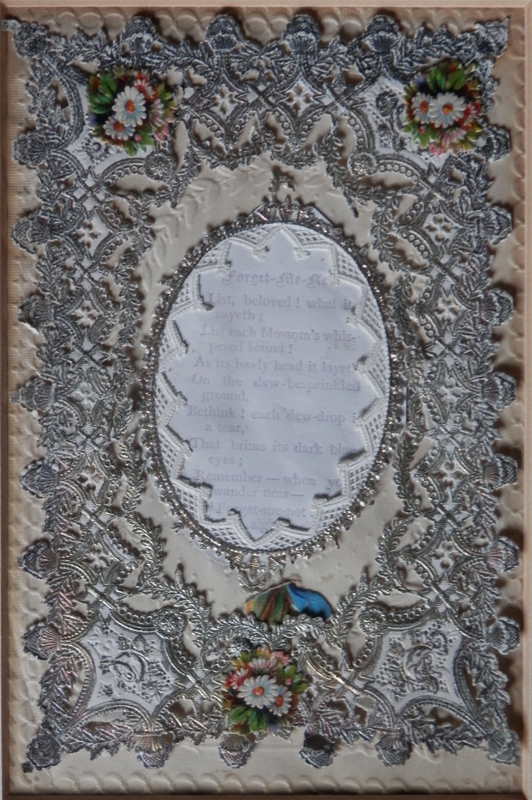 #Paper-lace was a speciality in Victorian times. I hope you enjoy the supreme quality of the cards which were used to express their sentiments. 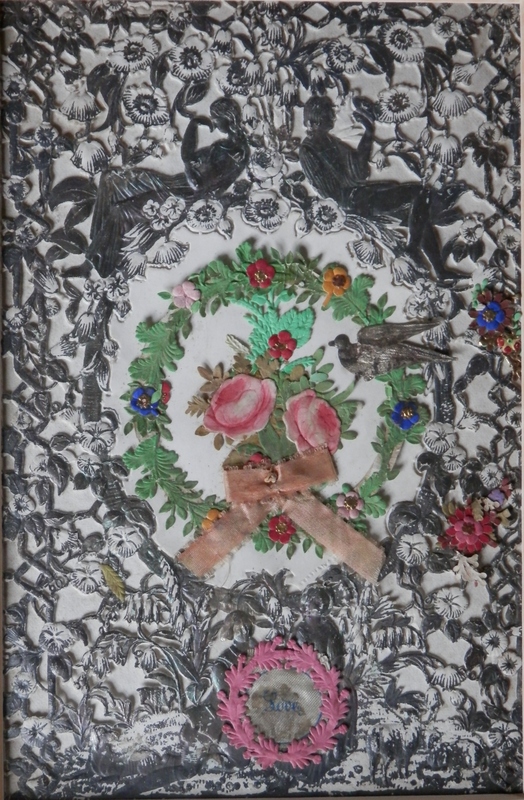 This entry was posted in Lithographs, Modern prints and tagged cupid, ladies, paper lace, valentine. Bookmark the permalink.